Filming Documentary movies is passions for many people. Bhutan’s natural beauty, virgin forest, Culture and tradition, living habits and concept of Gross National Happiness (GNH) are best suitable for many documentary movies. Filming Documentary movies is passions for many people. Bhutan’s natural beauty, virgin forest, Culture and tradition, living habits and concept of Gross National Happiness (GNH) are best suitable for many documentary movies. Within the physical and biological diversities and with over 70% forest cover, Bhutan has some of the best remaining representative samples of the unique Himalayan eco- system. These forests provide habitats for a variety of faunal species such as tigers, elephants, greater one horned rhinoceros, golden languor, blue sheep, musk deer, wolves, leopards, takin and a host of other creatures, many of which are listed as threatened or endangered. Bird Watching in a country that has been identified as one of the 10 bio-diversity hot spots in the world, harbouring an estimated 770 species of birds which includes the Plumage, the Himalayan Griffen, the unique high- altitude Wader, the Ibisbill, the spectacular Hornbill, Barbets, Sunbirds, Fulvattas, Yuhinas, Cuckoos can be a fabulous experience. Bhutan also has a great variety of endangered species like the Black- Necked Crane, the Monal Pheasant, Peacock Pheasant, Raven and the Rufous- Necked Hornbill. The rules and regulation for filming in Bhutan differ from that of normal treks and cultural tours. Tourists or professionals intending filming in Bhutan must abide by the Bhutan Filming Rules and Regulations, Royal Government of Bhutan. 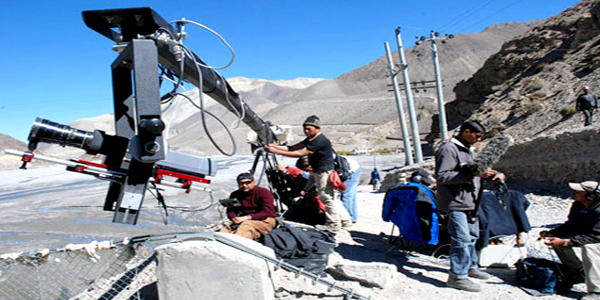 It is required to obtain permit for filming from Bhutan InfoComm and Media Authority prior to any documentary filming. Once the movie is completed, it is required to submit a copy of the edited documentary film to Bhutan InfoComm and Media Authority for their review prior to public exhibition. The security deposit will be refunded upon completion of the film and review by the Bhutan InfoComm & Media Authority. Please contact us for any assistance on the same.